Our take on a must-have premium burger on your menu. 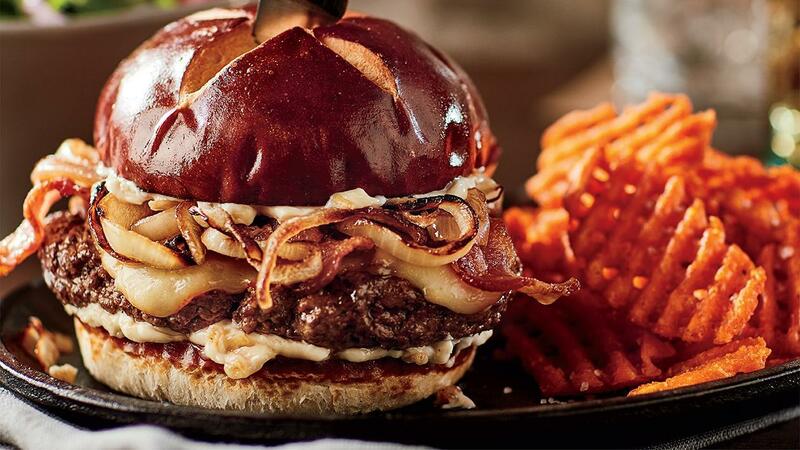 A ground sirloin patty topped with roasted garlic mayonnaise, caramelized onions, Muenster cheese and bacon – all packed in a pretzel bun. Totally awesome look, taste and flavour; view the full recipe below. Combine Best Food Real Mayonnaise with roasted garlic.